This Pink Australian Opal with Ruby is destined to become a treasured heirloom. 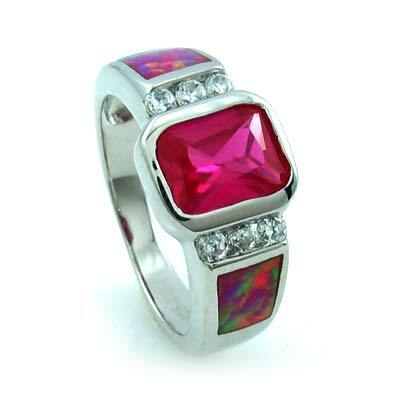 This .925 sterling silver ring features a lab-created emerald-cut ruby as center stone with pink opals on the sides. Perfect for the October birthday girl. Look your best with this spectacular ring! Available in any size.